First and second Mondays of every month are used for meetings and trainings. Volunteers are ‘on call’ and respond when they are available. Who can become a volunteer firefighter or first responder? What are the benefits of becoming a volunteer firefighter or first responder? Volunteers enjoy a sense of accomplishment, achievement and pride in their work. Volunteers learn new skills, make new friends and are a part of a team. Volunteers give back to their community and make a real difference. I have never done anything like this before, how will I know what to do? No experience is required, the department will provide all the training and equipment that you need to succeed. From the chief down to the newest recruit, we’ve all had to start somewhere. 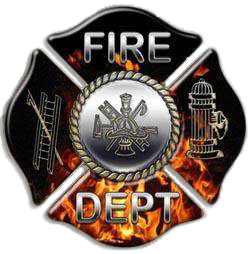 Are there ways that I can help the department without becoming a firefighter or first responder? Yes! We realize that firefighting and EMS is not for everyone, but we believe that volunteering can be. We often use volunteers to assist with the non-emergency tasks of the department. Activities may include fundraising, administrative support, incident pre-planning, community outreach, fire prevention and life safety education, providing rehab at emergency scenes and much more!